A curator’s role is to present works that provide meaning to them, and hopefully convey some meaning or insight to the audience as well. Being a curator of contemporary works is especially exciting and important work, because we are creating the future canon of classical music. I am thrilled to present two series as part of my curatorship: 1) Contemporary Classical Salon Series, featuring works by living composers, and 2) Crossing Over, featuring Jazz composers with roots in Classical, Latin, and other art forms. My mission is to present, perform, and create music that is good for the soul and the intellect, and which reflects our universal consciousness. It is also important to keep the classical music tradition alive by featuring and supporting contemporary classical composers and musicians. A versatile musician and multi-instrumentalist, Glenda Bates’s innovative approach to performance blends classical music training with jazz repertoire and improvisation. A classically trained oboist and a jazz vocalist, Dr. Bates also plays the ukulele, and is a composer, lyricist, and poet. Bates freelances in Baroque, Classical, and Jazz ensembles in San Francisco, and is also sought out by contemporary composers to present new works for oboe and English horn. OboeTronics, her solo project, pushes the archaic oboe into the technological realm by creating immersive sound experiences and championing electroacoustic composers. She has premiered dozens of compositions by living composers including Eldad Tarmu, Peter Winkler, Perry Goldstein, Robert Gibson, Daria Semegen, Andrew Conklin, Tomek Regulski, Richard Dubras, and more. 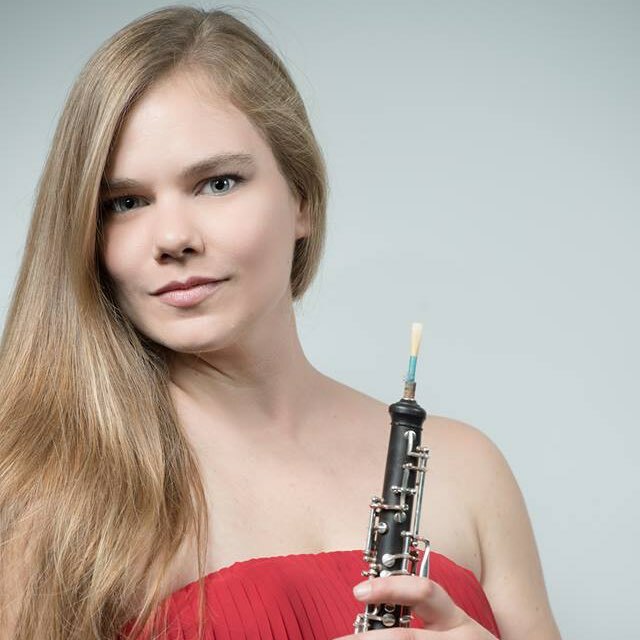 Bates received her Doctorate of Musical Arts in Oboe Performance from Stony Brook University under the guidance of Professor Pedro Diaz, English horn soloist at the Metropolitan Opera. She earned her Master of Music from the University of Maryland, and Bachelor of Arts from the University of South Carolina. Previous oboe teachers include Mark Hill, Rebecca Nagel, Carol Stephenson, and Susan Vought-Findley. She also studied Baroque performance practice with Marc Schachmann and Arthur Haas, and jazz with Ray Anderson and Bert Ligon. Learn more at www.glendabates.com. On one hand I am simply excited and honored to have the opportunity to showcase local Artists — from all generations — whose work moves and inspires me. On the other hand, much of my work for years has leaned towards a desire to shine a light on the unique and rich New Music Community that exists here in SF (though sometimes in latent form). Doing this always depends on the context that we find ourselves in. NOW more than ever one crucial question is how can we be musicians, composers, “musical citizens”, and now CITIZENS in the broader sense, all at the same time? And should we? Becker’s recent solo CD FADE made several top-ten lists in 2014, including NYC’s BigCityBlog, where it came in as number one. Awards and grants include those from the American Academy of Arts and Letters, Meet the Composer, the Argosy Foundation, the Banff International String Quartet Competition, the American Music Center’s Live Music for Dance, the Zellerbach Family Fund, and the Mary Flagler Cary Charitable Trust, among others. My curatorship will focus on live electronic music, especially on ensembles that can include both electronic and acoustic instruments. My series of workshops and concerts will culminate in a mini-festival of live electronic music featuring active electronic music composer/performers from the West Coast. Acts will include electronic improvisation and network music ensembles, live-coding sessions, and interactive acoustic/electronic music and sound installations. He has been a member since 1986 of the pioneering computer network music band The Hub, which received the Giga-Hertz Prize for Electroacoustic Music in Nov. 2018 from ZKM, Karlsruhe. 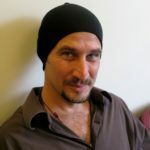 Throughout his career he has composed solos for acoustic instruments with interactive electronics, and for computer alone, using software he writes for his compositions and improvisations. Since 2005 he has written music in just intonation, often integrating rhythmic structures that parallel the proportions used in their tunings. Recordings of his music are available on New World, Tzadik, Pogus, Intakt, Ecstatic Peace, Red Toucan, Leo, and Artifact Recordings. He is a Professor Emeritus at Mills College in Oakland, California, where he taught electronic music, composition, theory, and ethnomusicology for 30 years. Learn more at cbmuse.com. I am a great believer in context, in its ability to help us understand our world, imagine our future, and see our place in it all. When we explore the music of our time in context, we glimpse the vast continuum of creative expression and discover what it means to be human now. As a curator at the Center for New Music, I am excited and honored to present two series: 1. Bard Music West Plays: mini-immersions into the worlds of contemporary composers, co-curated by those composers and the artistic directors of Bard Music West; 2. Telescope: multi-disciplinary performances that deeply investigate a composer, work, or musical topic in context with an emphasis on overlooked and minority voices. Pianist Allegra Chapman is dedicated to engaging with new audiences as performer, presenter, and educator. Allegra is founding Artistic Co-director and Executive Director of Bard Music West, a branch of the Bard Music Festival that presents innovative concert programs in San Francisco exploring the worlds of contemporary and twentieth-century composers. 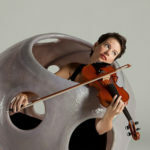 Allegra has performed as soloist and chamber musician at prestigious venues throughout the United States, Europe, and China, including Alice Tully Hall, the Dame Myra Hess Memorial Concert Series, the Bard Music Festival, the Liszt Ferenc Memorial Museum in Budapest, and Xi’an Concert Hall in Xi’an, China. Her performances have been broadcast on WQXR New York, WFMT Chicago, and KALW San Francisco. An avid chamber musician and passionate advocate for contemporary music, Allegra performs regularly with Ensemble Illume, San Francisco Contemporary Music Players, UC Berkeley’s Eco Ensemble, Ensemble Illume, and LeMesh & Chapman, a duo with soprano Sara LeMesh. She has collaborated with members of International Contemporary Ensemble and the Eusebius, Orion, and Telegraph String Quartets. 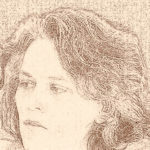 Allegra has also worked with composers Joan Tower and Charles Wuorinen and premiered the works of many young composers. In 2012, Allegra’s unusual collaboration with Yamaha Disklavier and The Juilliard School’s Center for Innovation in the Arts was the subject of a feature article and video in the Wall Street Journal. Allegra holds bachelor degrees in piano performance and history from Bard College Conservatory of Music, a master in music from The Julliard School. For more information visit www.allegrachapman.com. My job as curator is to facilitate access. This access runs two ways. First of all, it is my job to ensure that diverse artists across race, socio-economic status, citizenship status, (dis)ability status, LBGTQIAA, gender, and nationality are welcomed into the C4NM space. Secondly, it is my job to facilitate the audience’s ability to access the artist. Integral to my series’ curation would be facilitated encounters between the artist and the audience that go beyond the traditional audience performer relationship. Committed to pushing the boundaries of harp performance, Dr. Jennifer R. Ellis (D.M.A. University of Michigan, M.M. Cleveland Institute of Music, B.M. Oberlin) has performed over eighty premieres. She embraces firsts: first harpist to attend Bang on a Can, Fresh Inc., and Splice summer festivals, and the first harpist to be a One Beat Fellow, a fellowship through Found Sound Nation and the U.S. State Department. 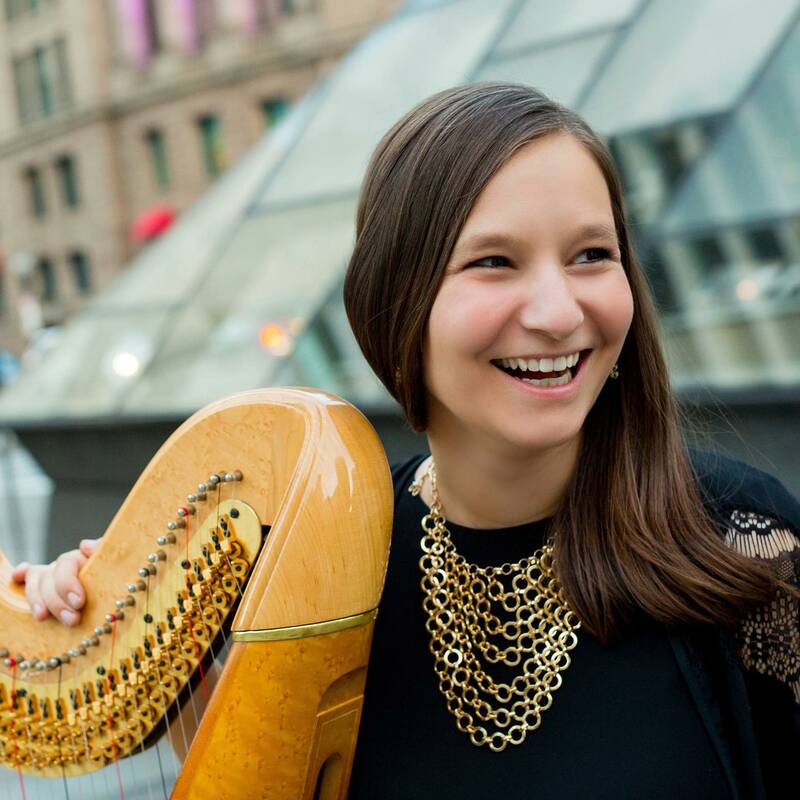 An Alice Chalifoux Prize awardee, she performs with the new music harp and saxophone group Admiral Launch Duo, four-time residents of Avaloch Music Institute, with an upcoming album on Albany Records. Dedicated to innovative music pedagogy, she has taught privately and at institutions including MPULSE, Harps Etc., and Young Artist’s Harp Seminar. An in-demand educator, she gives an average of a dozen guest workshops per season at institutions including Arizona State University, CSU Sacramento, Cleveland State University, Interlochen, the International Harp Festival, Miami University, Michigan State University, University of Arizona, University of Hartford, University of Massachusetts Amherst, and University of North Carolina Greensboro. She was named an inaugural UM Engaged Pedagogy Fellow, earned a UM CRLT Graduate Teacher Certificate, and trained in eurhythmics pedagogy at CIM. Drawing on this advanced training, she has been tapped to train other teachers in settings including the SF ASTA teaching symposium and the University of Michigan. She is a 2017-2018 UC Davis artist-in-residence and a guest artist at the 40th Anniversary Festival of New American Music. She is on the preparatory and adult extension faculty of San Francisco Conservatory of Music and teaches all ages at Harps Etc. My curatorial vision revolves around the guitar’s unique ability to traverse cultural and musical borders. Whether acoustic or amplified, notated or improvised, plucked or strummed, guitar music provides an accessible entry point to the more rarefied fields of contemporary musical practice. I am interested in proposals that are thematically refined, adventurous, and reflect a diversity of identities; I am also excited to work with performers and composers who harness the guitar’s existing and novel technological capabilities. Italian-born guitarist Giacomo Fiore has premiered dozens of new works for justly-tuned, electric, and classical guitars, and released eight recordings for Cold Blue, Pinna, Spectropol, Paper Garden Records, and his own label. As a musicologist his research focuses on U.S. experimental music, intonation, and performance; he has published articles in Music Theory Spectrum, JSAM, and TEMPO, and writes regularly for Classical Guitar and SFCV. He lectures on historical topics at the San Francisco Conservatory, UC Santa Cruz, and the University of San Francisco. Curating is about creating a diverse community. It’s providing the basis for connection. I prioritize work that mixes media, performance art, and unconventional instrumentalism in engaging and challenging performances. I want to create a space where musicians of different backgrounds, practices, and aesthetic climates can share their experiments with sound. Julie Herndon is a composer and performer working with internal/external space through improvisation, text, graphics, and electronics. Her work explores the body’s relationship to the self, to performance, and to tools like musical instruments and personal technology. Her electroacoustic work has been described as “blended to inhabit a surprisingly expressive space” (San Francisco Classical Voice). Recent compositions have been performed by ensembles including JACK Quartet, Ensemble Proton Bern, Line Upon Line Percussion, Retro Disco, Elevate and Left Coast Chamber Ensemble. Performances include festivals and venues such as Artistry Space and Hotel Vagabond in Singapore, soundSCAPE in Italy, MATA Festival and MIS-EN_PLACE Bushwick in New York, Megapolis Audio Art Festival in Oakland, and Hot Air Festival in San Francisco. As an educator, Julie has instructed classes at Stanford, Mills College, and Santa Fe Community College, as well as assisting courses in Copenhagen and Stockholm in subjects ranging from anime to transidiomatic art-making. 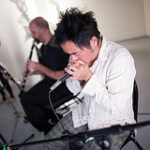 As a collaborator, Herndon is co-founder of hi, a duo featuring harmonium and clarinet with electronics, as well as a member of Dirt and Copper. She is currently Composer in Residence with Elevate Ensemble and a doctoral candidate (Hume Fellow) at Stanford University studying with Mark Applebaum, Brian Ferneyhough, Patricia Alessandrini, and Jaroslaw Kapuscinski. Learn more at www.julieherndonmusic.com. Blaine is curating a new series on behalf of Other Minds called Latitudes. Latitudes focuses on a contingent of composers, improvisers, and musicians working in underground forms of contemporary music. It was started in response to the dwindling number of venues in San Francisco presenting artists operating in the liminal space between Rock & Roll and the avant-garde. The hope for this series is to help fill a gap that’s become glaringly obvious in San Francisco’s music scene. Blaine Todd is a musician, curator, and arts fundraiser. He is the current Associate Director at Other Minds—a 25 year old Bay Area experimental music institution dedicated to the encouragement and propagation of contemporary music in all its forms through concerts, recordings, broadcasts, audio preservation, and public discussions that bring together artists and audiences of diverse traditions, generations, and cultural backgrounds. Todd studied literature at San Francisco State and Aarhus University in Denmark. Before working for Other Minds he was an Associate Editor at the short story magazine Zoetrope: All-Story and a fundraiser for the Studio Museum in Harlem and the New-York Historical Society. He helps curate the Full Spectrum Records imprint Editions Littlefield as well as a new Los Angeles-based label featuring the works of established and under-recognized experimental music artists called Besom Presse. In addition to recording and performing under his own name, he performs in the ritualistic eco-terrorist drone collective Common Eider, King Eider; trance-psychedelic outfit Ecstatic Music Band; cosmic country rock quartet Real Life Rock & Roll Band; the utopic-folk dreamers Andrew Weathers Ensemble and minimalist psych punk band Night Collectors. More information about Other Minds here, and Latitudes here. Kurt Rohde plays viola and composes. His newest works are for the Lyris Quartet, tenor Joe Dan Harper, cellist Rhonda Rider, pianist Genevieve Lee, and the Borromeo String Quartet. He plays with the Left Coast Chamber Ensemble, where he serves as Artistic Advisor. 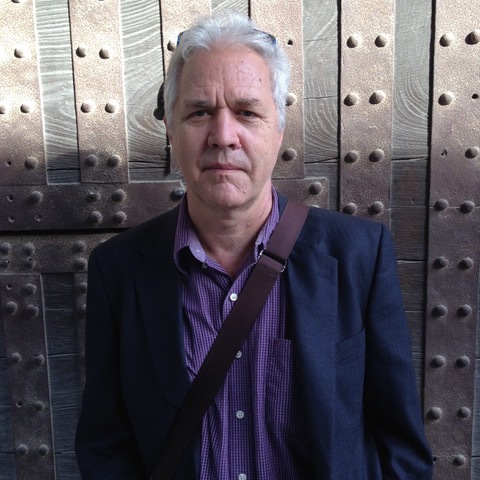 Kurt teaches composition at UC Davis, has received Rome Prize, Berlin Prize, Radcliffe-Harvard Institute, and Guggenheim fellowships, and awards from American Academy of Arts and Letters, Barlow, Fromm, Hanson, and Koussevitzky Foundations. He lives in SF with his husband Tim and their dog Ripley. Linda Bouchard is active as a composer, conductor and producer. Her works are heard regularly on both side of the Atlantic and is recorded by the CBC, Analekta, Marquis Classics and CMC in Canada; ECM in Germany and CRI in the US. Bouchard has won four SOCAN awards in Canada and first Prize as composer of the year in 1997 from the Conseil Québecois de la Culture, her honors in the US include first prizes in the Princeton Composition Contest, the Indiana State Competition, the National Association of Composers USA Contest, a Fromm Foundation Award from Harvard University and a SF Foundation for the Arts Commission Grant. She was a fellow at the Rockfeller Foundation Bellagio Center and the Civitella Ranieri in Italy. Linda lived in New York City through the 80s where she composed, led contemporary music groups and opera and made orchestral arrangements for Churches and Ballet companies. She has composed over 90 works from orchestral and chamber works to dance scores, concerti, and vocal pieces and multimedia theatrical works. From 1992 to 1995 she was composer-in-residence with the National Arts Center Orchestra. In June 2001, she was invited to participate at IRCAM’s “Stage d’Informatique Musicale” in Paris. In the fall 2005, she founded NEXMAP, a non-for-profit arts organization dedicated to the presentation of international artistic events. Since 1997, Linda has made San Francisco her home. 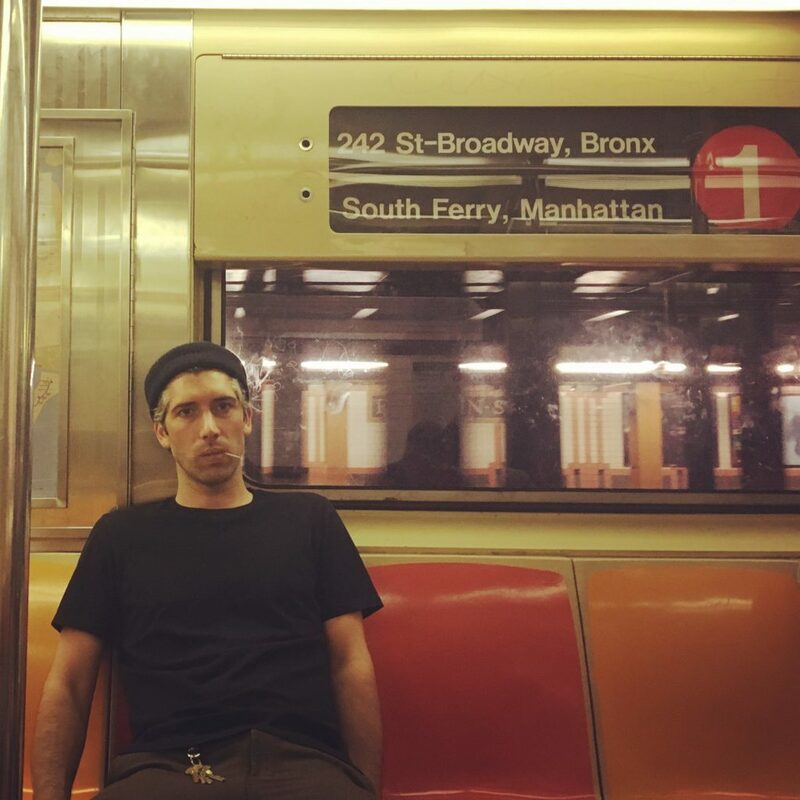 Oboist and composer/performer Kyle Bruckmann’s creative work extends from a traditional Western classical foundation into gray areas encompassing free jazz, electronic music and post-punk rock. 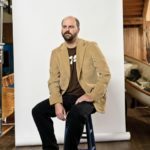 He has worked with the San Francisco Symphony and most of the Bay Area’s regional orchestras while remaining active within an international community of improvisers and sound artists, appearing on more the 60 recordings. His local ensemble affiliations include the San Francisco Contemporary Music Players, Eco Ensemble, Splinter Reeds, Addleds, Quinteto Latino, and acclaimed new music collective sfSound. 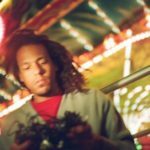 From 1996-2003, he was a fixture in Chicago’s thriving underground music scene; long-term projects include Wrack (winner of a 2012 Chamber Music America New Jazz Works award), the electro-acoustic duo EKG, and the avant-punk monstrosity Lozenge. Bruckmann earned undergraduate degrees in music and psychology at Rice University in Houston, studying oboe with Robert Atherholt, serving as music director of campus radio station KTRU, and achieving academic distinction as a member of Phi Beta Kappa. He completed his Masters degree in 1996 at the University of Michigan, Ann Arbor, where he studied oboe performance with Harry Sargous and contemporary improvisation with Ed Sarath. 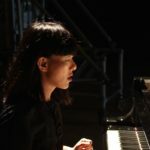 Tania Chen performs on pianos, keyboards, found objects, cheap small toys and vintage and lo-fi electronics. She studied piano with John Tilbury of AMM as a Music Performance Masters degree student at Goldsmiths College, University of London. She is a free improviser, sound artist, composer and interpreter of contemporary piano music, focusing on the music of American, European and British experimentalists such as John Cage, Earle Brown, Morton Feldman, Michael Parsons, Cornelius Cardew, Schoenberg, Webern, Satie and Scriabin. Other influences are Kraftwerk, Gary Numan, Ornette Coleman, Eric Dolphy, The Bohman Brothers and the experimental films of Chris Marker. Tania has composed for solo and ensembles, exploring sonority and texture through text pieces, graphic scores, free notation and images. Even more frequently, she performs experimental avant jazz and free improvisation. In the UK she has regularly worked with musicians including Steve Beresford, John Edwards, Lol Coxhill, Alan Tomlinson, Roger Turner, John Butcher, Adam Bohman, Rhodri Davies and Terry Day. She has curated, performed and toured innovative and thought-provoking performances in venues such as the Southbank Centre, the Battersea Arts Centre, Cafe Oto, Tate Modern in London, Hamburger Bahnhof Museum of Contemporary Art in Berlin and Fukuoka Asian Art museum, Japan and played in festivals like BBC Radio 3 Jazz Festival, Spitalfields festival in East London and the Machynlleth Comedy festival in Wales. Most recently both the tour and recording of John Cage’s “Indeterminacy” with Steve Beresford and comedian Stewart Lee achieved notable critical acclaim and was reviewed by The FT, The Times, Gramophone magazine and The Wire. Her recent move to the Bay area in 2014 has brought many musical collaborations: TENDER BUTTONS is a trio collaboration with Tom Djll and Gino Robair, her duo with violinist Benjamin Kreith combines both improvisation and works of the contemporary repertoire and she performs with Michael Mersereau and Aaron Oppenheim in the band THE PUZZLE. She has recently performed with Kyle Bruckmann, Teddy Rankin-Parker, Aram Shelton, Bruce Ackley and Jon Raskin in San Francisco, Oakland and Berkeley. Her first Californian West Coast tour took place in early 2015 with BAD JAZZ, a trio with instrument inventors Bryan Day and Ben Salomon. They tour Japan in the latter part of 2015. She performs toy piano and various keyboards with the band LES TROIS CHAPEAUX with percussionist Kevin Corcoran and saxophonist James Jaroba. She releases several recordings each year. These include “Ointment” – improvisations with Steve Beresford, a recording of solo piano pieces by Cornelius Cardew and Michael Parsons, John Cage’s “Music of Changes” and “Indeterminacy by John Cage”. Two of the Californian based bands she plays in: BAD JAZZ and TENDER BUTTONS release their first recordings in 2015. These are/will be available on Amazon, iTunes or via Tania’s website www.taniachen.com, where she also writes a blog. Danny Clay is a composer / teaching artist / general noise-maker from Ohio, now based in San Francisco. His work draws upon elements of unusual musical traditions, found objects, archival media, toy instruments, digital errata, local history, graphic notation, children’s theater, and the everything-in-between. Recent collaborators include Kronos Quartet, Sarah Cahill, Thingamajigs, Phyllis Chen, Mobius Trio, Areon Flutes, the Living Earth Show, Friction Quartet, Nonsemble 6, Anne Rainwater, Musa, the International Low Brass Trio, Elevate Ensemble, Americana Orchestra, Greg Gorlen, and others. His work has been released on Hibernate Recordings, Unknown Tone Records, Eilean Records, Rural Colours, Heat Death Records, and more. 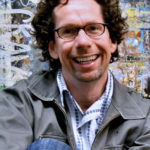 As a teaching artist specializing in composition with elementary schoolers, he has worked with Little Opera, the San Francisco Opera, 826 Valencia, Thingamajigs, the International Contemporary Ensemble (ICE), Composers and Schools in Concert (CSIC), and currently curates Project Object, a net-label of experimental music by kids. 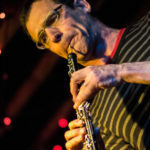 Reviled for his “shapeless sonic tinkering” by the Los Angeles Times, oakland musician Matt Ingalls is a composer, clarinetist, concert producer, and computer music programmer. Often incorporating elements of improvisation, his music is heavily influenced by his long involvement in computer music. His composerly solo improvisations explore extended clarinet techniques that interact with the acoustic space, often as combination tones. Matt is the founder and co-director of sfSound, a new music series, ensemble, and internet radio station devoted to new ideas and traditions of experimental music, performance art, live electronic music, Bay Area composition, and the various facets of contemporary improvisation. 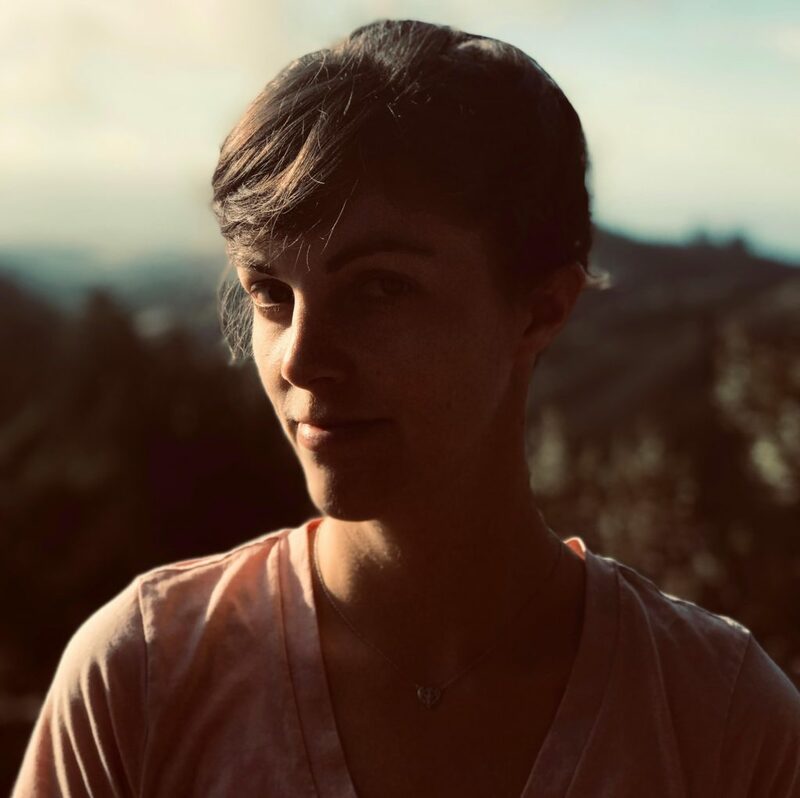 San Francisco-based composer Emma Logan strives to write music that is emotionally compelling through the use of gesture, experimentation, and storytelling. Her piece Short Stories for solo guitar received an honorable mention in the 2016 MACRO Composers Competition. Emma’s passion for contemporary music drives her to continue collaborating with fellow composers and performers to bring new music to life. Emma is co-founder of the Helia Music Collective, an organization dedicated to promoting women in music. Helia is teaming up with Siroko Duo for their first project, set for March 2017, featuring new and recent works by women for flute duo. Upcoming collaborations include a song cycle commissioned by One Great City Duo, a unique duo formed by guitarist Timothy Sherren and guitarist/soprano Alexandra Iranfar. Past collaborations include a song cycle commissioned by Ensemble for These Times, a piece for Areon Flutes presented by the Guerrilla Composers Guild, and new music for a few of Georges Méliès’ famous short films. Emma’s work has been performed around the United States, including Eugene, San Francisco, Chicago, Cincinnati, and Syracuse. 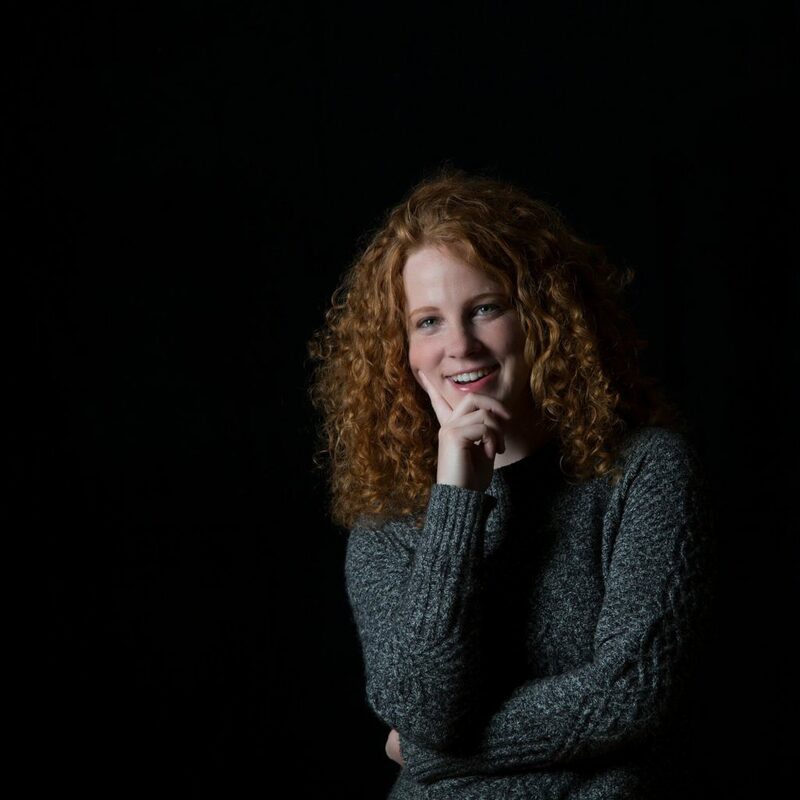 She has participated in the Oregon Bach Festival Composers Symposium with composer Robert Kyr, the Fresh Inc Music Festival with Fifth House Ensemble, and the Skaneateles Music Festival with composer Paul Moravec. Emma studied with David Garner at the San Francisco Conservatory of Music (MM) and with Andrew Waggoner, Daniel S. Godfrey, and Nicholas Scherzinger at Syracuse University (BM). For more information, visit Emma on her website, emmalogan.com. 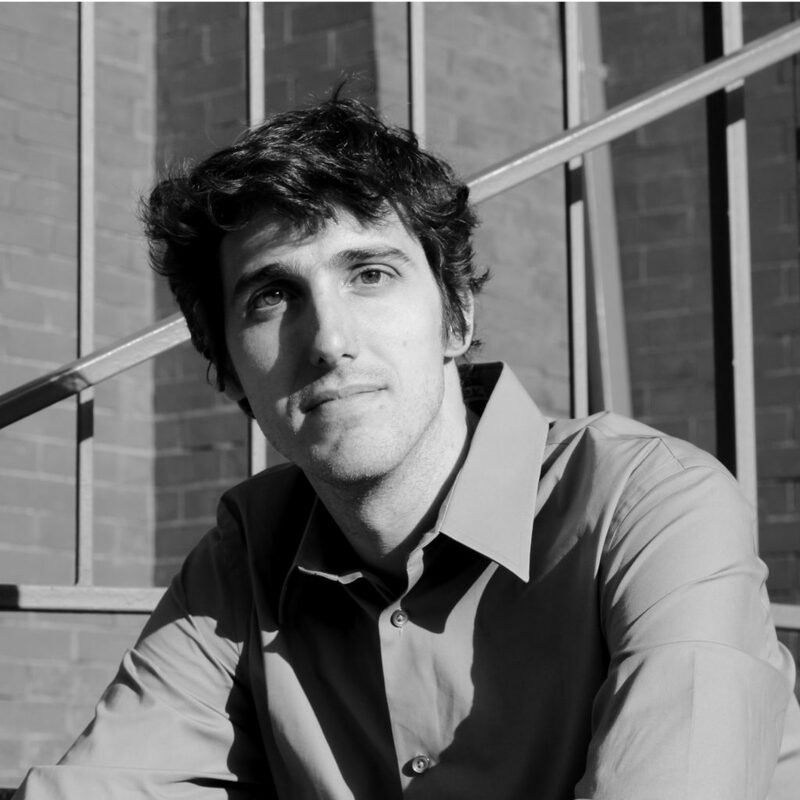 Praised as an “excellent pianist” with “titanic force” (New York Times), Adam Marks is an active soloist, chamber musician, and educator. 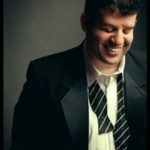 He has appeared as soloist with the Mission Chamber Orchestra, Manchester Symphony Orchestra, the National Repertory Orchestra, and at notable venues including Salle Cortot, Carnegie Hall, Miller Theatre, Logan Center for the Arts, Millennium Park, Ravinia, and the New World Symphony Stage. He was a laureate of the 2008 Orleans Competition for contemporary music in Orleans, France. Recent performances include recitals in Brazil, Singapore, and Croatia. Highlights of the 2015-2016 season include a return residency with Yale University composers, a debut on the Gualala Arts Chamber Music Series with Jennifer Beattie and Matt Albert, and multiple performances of Beethoven’s 3rd Piano Concerto on both coasts. Mr. Marks’ long list of collaborators includes Chicago’s Fifth House Ensemble, where he served as Pianist and Director of Artistic Programming, eighth blackbird, and Pittsburgh New Music Ensemble. In 2015 he made his off-Broadway debut as an actor/musician in Fiasco Theatre’s critically acclaimed revival of Into The Woods at Roundabout Theatre. Also in demand as an educator, he specializes in teaching public speaking and creative presentation for musicians along with traditional instrumental instruction. 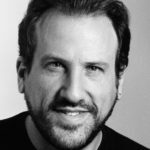 Adam previously served as the Artistic Director of Chamber Music Programs at the Third Street Music School Settlement in New York, and has held faculty positions at Carthage College, NYU, the fresh inc festival and New Music On The Point. He has also given guest lectures and masterclasses at Yale, Juilliard, Manhattan School of Music, Northwestern, Mannes, SMU, CU Boulder, The Colburn School, and many other prestigious institutions. He holds an undergraduate degree from Brandeis University, a Masters from Manhattan School of Music, and a Ph.D. in Piano Performance from New York University with research in works for vocalizing pianist. His teachers include Sara Davis Buechner, Anthony de Mare, Donn-Alexandre Feder, Evan Hirsch, and Lois Banke. Adam proudly plays Yamaha pianos and Schoenhut toy pianos. Lisa Mezzacappa is a San Francisco Bay Area-based musician, composer and musical instigator. An active collaborator and curator in the Bay Area music community for the past eleven years, she leads many of her own groups in jazz, improvised and chamber music, and performs in groups led by many others. For the past seven years she has programmed the annual “JazzPOP” concert series at the UCLA Hammer Museum in Los Angeles; and also programs the monthly “Monday Makeout” creative music series in the Mission District of San Francisco; and the live cinema series “Mission Eye & Ear,” at Artists’ Television Access, SF. She has programmed many many concerts and collaborative events in Bay Area venues small and large, as well as in spaces in New York, Berlin, Germany and Naples, Italy. For five years, she managed artist residencies and curated public programs at Stanford Lively Arts, working with artists in music, theater, dance, film and multidisciplinary realms. Before that, she worked as Communications Director at New Langton Arts, a beloved San Francisco cross-disciplinary experimental arts space. Mezzacappa has served as a member of the Headlands Center for the Arts’ strategic planning committee, and is a member of the San Francisco Friends of Chamber Music’s Forum advisory group. As part of Neighborhood Public Radio’s residency at the Whitney Biennial in 2008, she curated a week of free performances by outer-borough experimental musicians, broadcast live from a Madison Avenue storefront. For her curatorial work, she has received support from Southern Exposure Gallery/the Andy Warhol Foundation; American Composers Forum and the City of Oakland. 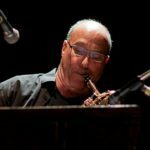 Larry Ochs has been performing with San Francisco-based Rova Saxophone Quartet since February, 1978, and with them has traveled throughout USA, Canada and Europe as well making two tours in Japan. He also has served as the acting executive director of the non-profit umbrella “Rova:Arts” since its inception in 1986, and in that capacity has produced many large collaborative concerts in San Francisco and beyond. Ochs has composed over 3 dozen works for sax quartet, many with added musicians. Most recent Rova CD: A Short History (2012). Other bands Ochs leads: KIHNOUA (2007 to present) with Dohee Lee, vocals, Scott Amendola and guest string players… The Sybil’s Whisper released 2012 /// LARRY OCHS SAX & DRUMMING CORE (2000 – present; 2 trio CDs w/Scott Amendola and Don Robinson on drums (best: Up from Under on Atavistic; new quintet CD with Satoko Fujii and Natsuki Tamura added – Stone Shift – on Rogue Arts) /// TRIO OCHS, MASAOKA, JEANRENAUD (2000-2004) Peggy Lee replaced Joan Jeanrenaud on cello in 2002…CDs on Intakt and Rogue Art labels /// Collective bands: Frith, Masaoka, and Ochs aka MAYBE MONDAY (1997– present) /// JONES JONES with Vladimir Tarasov and Mark Dresser (begun 2008)…We All Live the Same Way (2009) on SoLyd /// ROOM with Chris Brown, William Winant (1986 – 1995; 2 recordings)… pioneering band; one of the first coupling computers and acoustic instruments /// WHAT WE LIVE with Lisle Ellis and Don Robinson (1994 – 2002) … many recordings. Recommended: Trumpets with Leo Smith and Dave Douglas, or What We Live on DIW. /// GLENN SPEARMAN DOUBLE TRIO (1991 – 1998)… four recordings. Recommended: Smokehouse) /// Sideman with: JOHN LINDBERG ENSEMBLE w/Andrew Cyrille and Wadada Leo Smith (1998 – 2002)… 2 beautiful CDs available /// Ochs has composed many works for large ensembles. Most recent large ensemble CD release: The Mirror World (for Stan Brakhage) featuring an all star cast of Bay Area improvisers and Rova, voted best large ensemble CD of 2008 by All About Jazz.com /// Ochs has also performed and/or recorded with Kronos Quartet, John Zorn, Steve Lacy, Anthony Braxton, Nels Cline, Butch Morris, George Lewis, Barry Guy, Marilyn Crispell, Carla Kihlstedt, Ikue Mori, Alvin Curran, India Cooke, Henry Kaiser. Jim Santi Owen is an American percussionist, composer, educator, and producer based in the San Francisco Bay Area. Drumming since the age of eight, he specializes in the classical percussion traditions of North and South India. He is a senior disciple of Indian tablamaestro, Pandit Swapan Chaudhuri, and South Indian percussion masters, T.H. Subash Chandran and K. Sekar and also trained under the great Maestro Ali Akbar Khan and Kathak dance master, Pandit Chitresh Das. Owen served for five years as the Music Director of SF World Music Festival and was a founding member and co-director of the Indian percussion ensemble, Tabla Rasa, producers of the Festival of Sacred Drumming, Dance and Song. He has worked with Pharaoh Sanders, Hamza el Din, Alonzo King, Terry Riley, Myra Melford, Swapan Chaudhuri, Chitresh Das, SF Ballet, LINES Ballet, George Brooks, Steve Smith, and Selva Ganesh, among others. He is on faculty at the Ali Akbar College of Music, Dominican University, the California Jazz Conservatory, LINES Ballet, and Park Day School. Owen served for three years as a panelist for the Zellerbach Family Foundation’s Community Arts Program and is currently co-chair of the Funding Advisory Committee for the Cultural Affairs Department of the City of Oakland. Julia Ogrydziak’s work draws from architecture, art, video, electronic music, science, and indie music to create experiential performances and media pieces. As a violinist, she has performed worldwide, from the Schleswig Holstein Musik Festival to Tanglewood to Lincoln Center. Her more unusual performances include a full-length immersive show at the Chabot Planetarium, improvisations in an aircraft hangar, and accompanying dancers hanging from trees in Tahoe. A vocal proponent of new music, she has worked with composers such as Evan Ziporyn, Steve Reich, John Harbison, Hans Tutschku and Tod Machover. Over the past ten years, she has collaborated with San Francisco dance group, Capacitor, writing and performing numerous pieces for violin and electronics. Their most recent collaboration, FLOCK, is a piece for violin and electronics by Andrew May, shot as a music video with SF Ballet dancers and directed by RJ Muna. As a K-Bow Artist, Julia represented the world’s first bluetooth bow. When not playing the violin, Julia runs a digital product studio, Blacksquare. Her clients range from VC-funded startups to Fortune 500 companies, including Intel, Bank of America, News Corp, Fox, GAP, and Microsoft. She is also a co-founder of media companies Rentometer, Moovee, and Yarn, and her work has been featured in Techcrunch, The Wall Street Journal, CNN Money, Reuters, US News & World Report, Fox Business, Washington Post, LifeHacker, and MOMA. She has won over 30 awards, including 4 Webbys and she serves as a member of the International Academy of Digital Arts and Sciences, the FWAs, and the Interactive Media Council. Julia studied violin in Paris with Maryvonne Le Dizes, at NEC with Masuko Ushioda, and the San Francisco Conservatory of Music with Isadore Tinkleman. She recently won the SFCM Prep Alumni of the Year Award. She holds Physics and Music degrees from MIT, winning the AMITA award for outstanding woman graduate, and was a researcher in the Media Lab Hyperinstruments Group. She was recently back at MIT for a CAST Residency. She received her Master’s of Design with Distinction from Harvard. Julia is an advisor at SFCM and WAM, and serves on the board for Capacitor. Highlights of Rova founding member Jon Raskin‘s early career include his ’70s participation in new music ensembles directed by John Adams (San Francisco Conservatory of Music) and Dr. Barney Childs (University of Redlands). Before Rova, Raskin served as music director of the Tumbleweed Dance Company (1974-77), was a founding member of the Blue Dolphin Alternative Music Space and participated in the creation of the Farm- an art project that included a city farm, a community garden, Ecology Center, Dance and Theater companies and organized the creation of a city park. Highlights as a member of Rova include composing a collaborative work for SF Taiko Dojo/Rova, working with Howard Martin on the installation work “Occupancy”, composing music for Mr. Bungle/ Rova, organizing the 30 year Anniversary Concert of John Coltrane’s Ascension, performing the music of Miles Davis at the Fillmore with Yo Miles! , the Glass Head Project with Inkboat and the ongoing Electric Ascension Project. Milky Way or Galaxy are translations of the traditional Korean word that is also the first name of flutist Meerenai Shim. Pronounced “me-ren-ay,” the unusual name befits this unique performer. Meerenai founded the flute and percussion group, A/B Duo, with percussionist Chris Jones in 2012. She is also a member of The Mineral Kingdom, a chiptune/folk/doom/jazz band led by Matthew Joseph Payne. 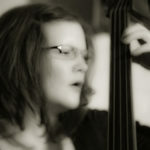 She has performed all over the United States as a soloist and chamber musician, including a residency at MASS MoCA as a Fellow at the Bang on a Can Summer Festival. In addition to regular broadcast of her recordings on classical radio stations, Meerenai’s recordings and performances have been featured on Music from Other Minds, Live from WFMT, and New Music Box. Meerenai’s third solo recording project (Fall 2015 release) will include commissioned works by Isaac Schankler, Emma O’Halloran, Tina Tallon, Gregory C. Brown, and Douglas Laustsen. Meerenai has premiered and commissioned numerous works on her own and as part of the A/B Duo. Some of the composers she has commissioned are: Daniel Felsenfeld, Janice Misurell-Mitchell, Ken Ueno, Brendon Randall-Myers, Carolyn O’Brien, Francisco Castillo Trigueros, Drew Baker, Matthew Joseph Payne, Ivan Trevino, Zack Browning, Andrea La Rose, and Noah Luna. Since 2005, Meerenai has been studying the Alexander Technique, Feldenkrais Method and Body Mapping. As a Licensed Andover Educator® she teaches the course What Every Musician Needs to Know About the Body® in private lessons as well as in masterclasses and workshops. Her experience with observing and studying movement helps her students play well and avoid injury. Meerenai’s book, Scale Studies for Beginner and Intermediate Flutists, has been praised by flute pedagogues worldwide. Meerenai counts among her most influential flute teachers: Linda Lukas, Mary Stolper, Liisa Ruoho and Alexa Still. She also studied orchestral conducting at the Aspen Music Festival and Eastern Music Festival, with teachers such as Paul Vermel, Murry Sidlin, and Sheldon Morgenstern. Meerenai earned the Bachelor of Music degree in Flute Performance from DePaul University in Chicago and the Master of Music degree in Flute Performance from San Francisco State University. She resides in Campbell, California with her husband Dave and dog Lucy. A recipient of the Rome Prize and the Berlin Prize, Ken Ueno, is a composer/vocalist who is currently an Associate Professor at UC Berkeley. Ensembles and performers who have played Ken’s music include Kim Kashkashian and Robyn Schulkowsky, Mayumi Miyata, Teodoro Anzellotti, Wendy Richman, Greg Oakes, BMOP, Alarm Will Sound, SFCMP, the Nieuw Ensemble, and Frances-Marie Uitti. His music has been performed at such venues as Lincoln Center, the Kennedy Center, the Metropolitan Museum of Art, MusikTriennale Köln Festival, the Muziekgebouw, Ars Musica, Warsaw Autumn, Other Minds, the Hopkins Center, Spoleto USA, Steim, and at the Norfolk Music Festival. Ken’s piece for the Hilliard Ensemble, Shiroi Ishi, has been featured in their repertoire for over ten years, with performances at such venues as Queen Elizabeth Hall in England, the Vienna Konzerthaus, and was aired on Italian national radio, RAI 3. Another work, Pharmakon, was performed dozens of times nationally by Eighth Blackbird during their 2001-2003 seasons. A portrait concert of Ken’s was featured on MaerzMusik in Berlin in 2011. As a vocalist, he specializes in extended techniques and has collaborated in improvisations with Ryuichi Sakamoto, Joey Baron, Ikue Mori,Robyn Schulkowsky, Joan Jeanrenaud, Tim Feeney, and David Wessel amongst others. Recently, he performed his vocal concerto with the Warsaw Philharmonic. Ken holds a Ph.D. from Harvard University. A monograph CD of three orchestral concertos was released on the Bmop/sound label. Jen Wang is a recent winner of a Staubach Honorarium at Internationale Ferienkurse für Neue Musik, and she has held residencies at the MacDowell Colony and the Millay Colony of the Arts. 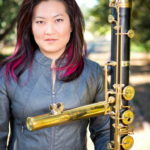 Her work has been performed by Talea, Left Coast Chamber Ensemble, Rootstock, the California EAR Unit, Onix Ensamble, Lucy Shelton, and Gloria Cheng; and she has participated in the Wellesley Composers Conference, the Bang On A Can Summer Institute, the Other Minds Composer Fellowship, the California EAR Unit Residency at Arcosanti, and the International Computer Music Conference. 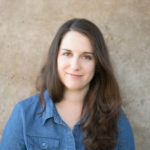 She is founder and co-director of Wild Rumpus, a San Francisco music collective dedicated to the collaborative development of new work by emerging composers. A graduate of the University of Cincinnati College-Conservatory of Music (M.M.) and Carleton College (B.A. ), she is currently a doctoral candidate at the University of California, Berkeley. Zachary James Watkins studied composition with Janice Giteck, Jarrad Powell, Robin Holcomb and Jovino Santos Neto at Cornish College. In 2006, Zachary received an MFA in Electronic Music and Recording Media from Mills College where he studied with Chris Brown, Fred Frith, Alvin Curran and Pauline Oliveros. 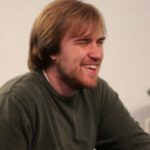 Zachary has received commissions from Cornish College of The Arts, The Microscores Project, the Beam Foundation, sfsound and the Seattle Chamber Players among others. His 2006 composition Suite for String Quartet was awarded the Paul Merritt Henry Prize for Composition and has subsequently been performed at the Labs 25th Anniversary Celebration, the Labor Sonor Series at Kule in Berlin Germany and in Seattle Wa, as part of the 2nd Annual Town Hall New Music Marathon featuring violist Eyvind Kang. Zachary has performed in numerous festivals across the United States, Mexico and Europe and his band Black Spirituals opened for pionering Drone Metal band Earth during their 2015 European tour. 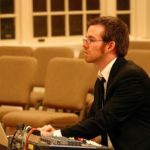 In 2008, Zachary premiered a new multi-media work entitled Country Western as part of the Meridian Gallery’s Composers in Performance Series that received grants from the The American Music Center and The Foundation for Contemporary Arts. An excerpt of this piece is published on a compilation album entitled ”The Harmonic Series‚” along side Pauline Oliveros, Ellen Fullman, Theresa Wong Charles Curtis and Duane Pitre among others. Zachary recently completed Documentado / Undocumentado a multi media interactive book in collaboration with Guillermo Gómez Peña, Gustavo Vasquez, Jennifer Gonzalez and Felicia Rice. His sound art work entitled Third Floor::Designed Obsolescence, “spoke as a metaphor for the breakdown of the dream of technology and the myth of our society’s permanence,” review by Susan Noyes Platt in the Summer 05 issue of ARTLIES. Zachary releases music on the labels Sige, Cassauna, Confront (UK), The Tapeworm and Touch (UK). Novembre Magazine (DE), ITCH (ZA), Walrus Press and the New York Miniature Ensemble have published his writings and scores. Zachary has been an artist in residence at the Espy Foundation, Djerassi and the Headlands Center for The Arts.